2015 was the year Papua New Guinea sporting annals as a watershed moment. 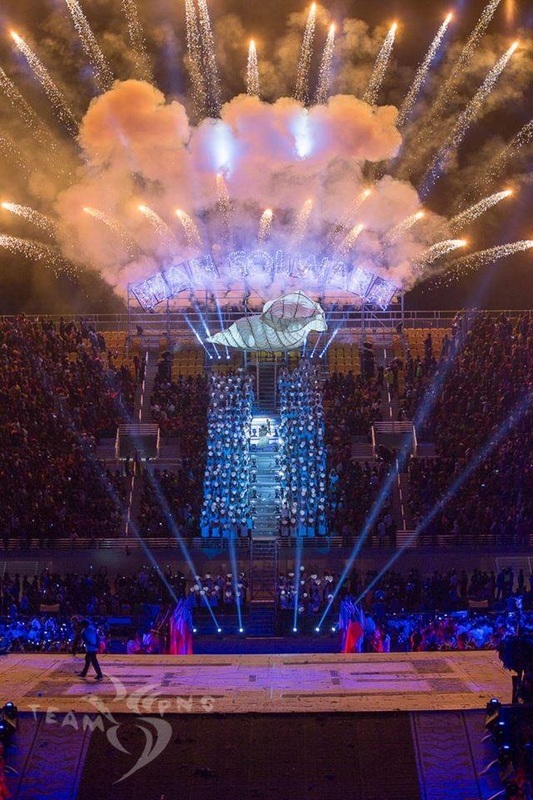 The obvious reason was that in 2015, this country hosted the 15th Pacific Games all in Port Moresby, the nation’s capital, and hosted it successfully – not just from an organiser’s perspective but from the athletes’ perspective and equally just as important, from the point of view of the fans. A lot had been made about this event in the five and a half years after the country won the bid to host. Would PNG be ready? Was the country capable of matching the 1991 Games when with a vastly smaller budget and fewer support personnel, PNG not only hosted one of the most memorable and visually stunning Games but Team PNG ended up finishing on top of the medal count with 44 gold medals. That was the first time PNG had won the regional event and it is safe to assume that coupled with a talented group of athletes, the country collectively had the drive and determination to achieve great things at the ninth South Pacific Games as it was called then. 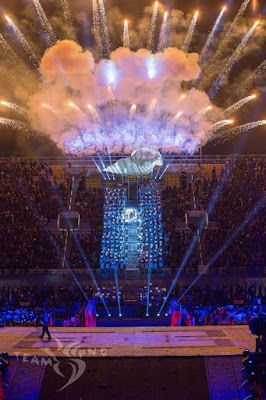 Fast forward 24 years, Team PNG not only met the public’s expectations but achieved the goal they had set months before the July 4 opening ceremony at the newly-built Sir John Guise Stadium. Team PNG chef de mission Richard Kassman and PNG Olympic Committee president Sir John Dawanincura estimated that the national contingent would need to win double the number of gold medals it had in 1991 to claim the top sport. Despite some questions from cynics and naysayers alike, the goal of winning 88 gold medals was achieved. For an event that cost well over a billion kina to prepare for and millions more to run, PNG had achieved what it set out to achieve in all areas across the board. The leadership and vision of individuals such as Sports Minister Justin Tkatchenko, Games Organising Committee chief executive officer Peter Stewart, Pacific Games Authority chairman Sir Kostas Constantinou and GOC chairperson Emma Waiwai cannot be discounted. For every great team performance there has to be an equally capable and adept group of leaders providing the impetus and these fine people provided that quality and standard for everyone to follow. As has been said often in one of life, and sport’s many adages, getting to the top of the mountain is the easy part, staying on top is when the real test begins. PNG, and Port Moresby in particular, is now in an advantageous position to benefit from the legacy of great facilities as well as a new found confidence and standing in the region’s sporting community. The country is now finally living up to the potential it had. The New Year will bring a set of challenges that the country and its capital will be better equipped to handle. The Pacific Games was not the only sporting concern for the fans in 2015. Rugby league, soccer, netball, rugby union, touch football, cricket, athletics, boxing, softball, tennis, and taekwondo all made headlines for the right reasons. The performances that would push the country to the top of the Pacific Games medal tally were honed and fine-tuned in the months and weeks preceding the event. Although some sports did not perform to expectation, it was statistically expected. Rare is the time when one contingent can get it right in every area. A certain weight of expectation was placed on some sports because of their perceived dominance and superiority over other Pacific Island countries. Some hit the mark others did not do as well as hoped. A nines side made up mostly of Hunters players romped to the gold medal while PNG’s vaunted cricket sides were left with egg on their faces when Samoa (women) and Vanuatu (men) turned the tables on them in stirring upsets. The swim team, led by Ryan Pini, did not disappoint keeping pace with the powerful New Caledonians and Tahitians. Off the back of another big haul from the country’s certified sports legend Pini, the 31-year-old showed he had enough in the tank to push Team PNG to its goal. In athletics, the name that stood out was Toea Wisil’s and like the champion she is, the 28-year-old delivered when it mattered. The 2015 Pacific Games created many memories for the people and these will continue to carry them forward and inspire the next generation of stars.